A COMMUNITY-based enterprise in Kinatarcan Island that specializes in cassava-based products can expect higher productivity this after the Department of Science and Technology (DOST) Cebu turned over funding assistance worth P793,000. Of the total cost, DOST-Cebu entrusted a cassava processing facility worth P643,000 and P150,000 worth of assistance for packaging, training and other materials to the 80-member Hagdan Kinatarcan Langub Workers Association (Hakilawa), which is mostly composed of women. DOST Cebu Director Tristan Abando said the science and technology intervention of the agency is aimed to boost the production of high-value cassava-based products such as cassava flour and cassava crackers or kropek. “Cassava is abundant in the island. 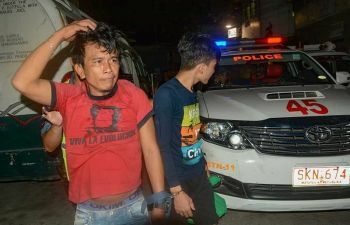 Cassava is usually consumed by the residents as staples, especially during stormy weather when they cannot purchase rice from the mainland Cebu,” said Abando. Before DOST interventions, Abando said locals in the island were making budbod, puto, pitsi-pitsi and other delicacies from cassava. They are making these products manually but have short shelf life. According to Abando, the cassava processing facility can process 15 kilograms of cassava flour per day. 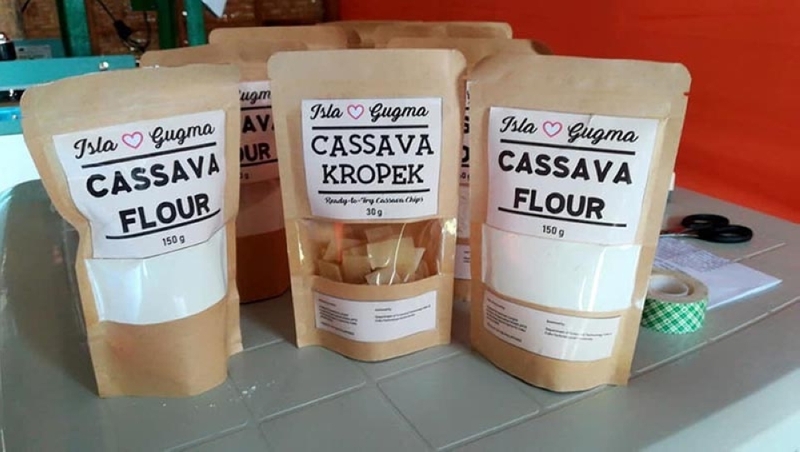 The cassava flour is gluten-free and can be the base ingredients for most of cassava-based pastries and delicacies. Cassava kropek, on the other hand, is a ready-to- fry cassava chip, another value-added product which has a longer shelf life. These products are currently being sold at the Southern Partners and Fair Trade Center (SPFTC). Abando said the DOST has also OneStore (online and physical store) where they can also sell these products. The cassava processing facility is part of the Kinatarcan Sustainable Integrated Area Development (KSIAD) supported by the ABS-CBN Foundation through former DENR chief Gina Lopez. KSIAD is developing an eco-tourism and wellness resort in the island, Kinatarcan Wellness, to develop a sustainable community based or village economy. Abando said the group is developing a shop in the resort where they can also sell these products to the tourists. Besides helping locals produce high-value cassava products, the DOST is also providing sewing machines to Hakilawa to improve their romblon bag production. According to Abando, mat weaving is another potential industry in the island. “Since this is salt-tolerant, romblon grows abundantly in the island. The natives weave the dried romblon leaves into banig or mats,” he said, adding that the development of quality products from woven romblon or pandan is currently ongoing.